As I write this, the Cornell campus is covered in a thick blanket of snow – enough to provide two snow days in a row (to the delight of my youngest child who is now a senior!) Despite the winter weather, spring is just around the corner and it is time to think of renewing or paying your class dues. Class dues support class activities, communications, and the award-winning Cornell Alumni Magazine, winner this year of a National Magazine award, which keeps us up to date on campus news and fellow alumni. Dues help us connect with Cornell, our friends from our days on the hill and classmates we never met while we were in Ithaca. Please consider renewing your dues now, and even joining those classmates who have selected auto renewal to enjoy the ease and simplicity of having your dues paid automatically. Dues are $60 and include Cornell Alumni Magazine or $30 with no magazine. For a class couple dues are $65 or $35 respectively. To pay on-line go here. This is where you will find the option to sign up automatically renew your dues each year if you like. If you are on dues auto-renewal, you should have recently received an email from Cornell reminding you that your credit card will be charged on July 1, 2017. Our class remains strong because we never give up on making and keeping Cornell and Class of ’74 connections. Thank you for being a part of that effort. Thanks in advance for supporting our class! If you have any questions about paying dues, please let me know! Happy New Year and Happy 65th Birthday to the [Notable] Class of ’74! Although the Cornell campus is quiet during the semester break, your class officers are busy planning two events for our birthday year. First is a Cornell Classes of the ’70s reception in Baltimore. 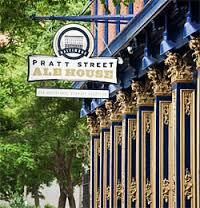 Join classmates at Pratt Street Ale House, Baltimore’s oldest brewpub, located just blocks from the inner harbor at 206 West Pratt Street, on Friday, February 3 from 6:45-9:30 pm. Join ’74 classmates and other ’70s grads for a fun evening featuring free hot hors d’oeuvres, a cash bar, and lively company. Cost is $15 in advance or $20 at the door. We expect a good crowd at the reception and already have at least a dozen ’74 classmates signed up to attend. Click here to register. Questions, contact Class of 1974 VP Steve Piekarec at spiekare@verizon.net. Also on the horizon is a 65th Birthday Reunion on campus June 8-11, 2017. Our 65th Birthday Reunion housing will be at Cornell’s Sheldon Court in Collegetown. Last year’s prices for Reunion housing, breakfasts and non-alcoholic drinks/snacks in the dorm lounge were one night $79 and two nights $158. This year’s prices will be similar. For meals, continental breakfasts are included with housing. Lunches will be on your own and options include several on-campus all-alumni venues, hot truck subs, or Collegetown or downtown Ithaca restaurants. Class dinners and cocktails on Friday and Saturday will be on campus. Prices, although not finalized, will be close to what was charged at our recent 2014 reunion: $50 for Friday and $77 for Saturday, tax and tip included. No class in Cornell history has ever undertaken a non-reunion-year reunion. To finalize the 65th Birthday Reunion arrangements and create a great celebration, we need to get an idea of how many people might attend. IF YOU ARE AT ALL INTERESTED, please help us out by answering this very short 7-question survey. Click here for survey. Questions about the 65th birthday reunion should be sent to Perry atcornell1974reunion@gmail.com or Bob at bbaldini34@gmail.com. Hope to see you in Baltimore in February, Ithaca in June, or at another Cornell event soon. Cornell’s Interim President Hunter Rawlings gave an impassioned speech—the annual State of the University address–to 500 alumni last week in Ithaca. Hunter spoke about the value of a liberal arts education for all Cornell undergraduates, and he emphasized that Cornell is uniquely positioned to provide this to students. He talked about how Cornell needs to continue to strengthen ties between “upstate” and “downstate,” meaning Ithaca’s Cornell and NYC’ Weill and Cornell Tech. For more on the speech, click here. If your plans have you in the NYC area on Thanksgiving weekend, consider attending the Classes of the ’70s reception on Saturday, November 26 at 5:30pm at Local West Café, across the street from Madison Square Garden where the Cornell Men’s ice hockey team will play University of New Hampshire at 8pm. To register and for additional details, click here. Looking forward to 2017, we have two class events already scheduled. One is a reception & informal dinner in Baltimore on Friday, February 3, at 6pm. Location TBD. A number of classmates will be in Baltimore that weekend for Cornell meetings so we will piggyback on that opportunity to get together. More details will be shared as the date gets closer. 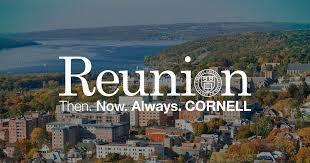 In June 2017 we are holding a mini-Reunion in Ithaca that will be part of Cornell’s big annual Reunion weekend on June 8-11. We will also be celebrating our 65th birthdays at this mini-Reunion. Look for preliminary information on the mini-Reunion next month on the class website and in our next email. Hope to see you at a Cornell event soon. Though it still feels like summer, Cornell students have been in class for three weeks. Among the nearly 4000 new students on campus is our new Class of 1974 Scholar, Wendolyn Gonzalez from High Point, North Carolina. Wendi is a freshman in the College of Art, Architecture & Planning and excited to be at Cornell. You will hear more about her in the months ahead. Our former Class Scholar, Garrett Guillen ’16 ILR, recently accepted a job in NYC at Harlem RBI, which works with inner city youth from East Harlem and the South Bronx. The Class of ’74 is involved in two events this month. First is a tailgate party at Cornell Homecoming on Saturday, September 24 in Ithaca. This lunch is at 12:30pm in the parking lot near the Cornell Wrestling Center. No charge to attend, family members welcome. Look for the Class of 1974 banner. 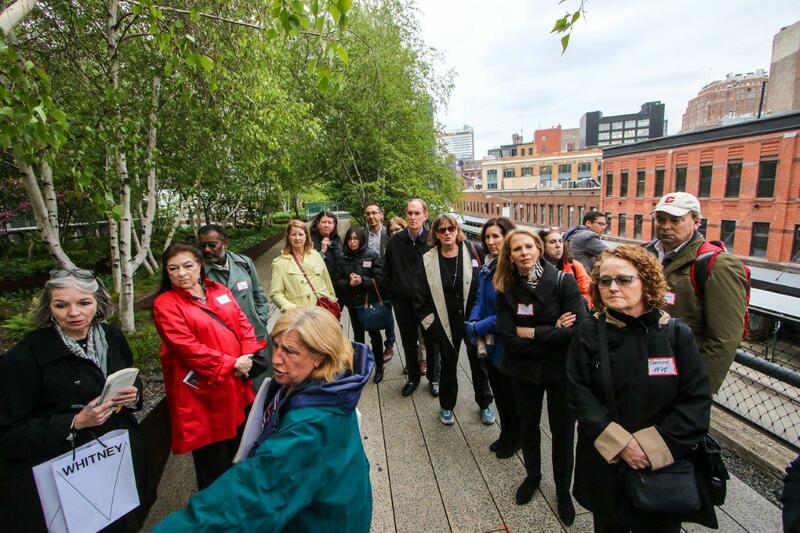 Classmate Roberta Bandel Walcer, rbwalcer@aol.com, is the organizer. No pre-registration required. (In case of inclement weather that day check the class Facebook page for any change of venue details.) Homecoming weekend festivities include fireworks and a family-friendly festival where you can meet a miniature companion horse named Miss Minnie, ride the ferris wheel, and sample varied foods and treats. The football game versus Yale is at 3pm. Homecoming details can be found here. With the presidential election season in full swing, please consider participating in a live on-line chat with other Cornellians during the first Presidential debate on Monday, Sept. 26. 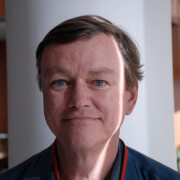 Cornell grad Dave Ross, Class of ’73, a long-time Seattle-area radio talk show host, CBS Network commentator and two-time recipient of the Edward R. Murrow Award for best commentary, will moderate the Live Chat, which is open to classmates from 1971-74. No preregistration and no charge—the link will be provided a few days before the event. Number of participants is limited to 250. Thanks to the Class of 1973 for organizing this chat. Looking ahead, we will have an informal class event in Baltimore the weekend of February 3-4. A number of classmates will be attending Cornell meetings in Baltimore over that weekend. Please let me know if you are interested. I hope to see you at the Homecoming tailgate or at another class event soon. 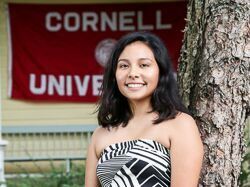 The Cornell campus in Ithaca is busy with more than a thousand high school students enrolled in Cornell Summer College and several hundred adults (mostly alumni) participating in Cornell Adult University (CAU) five-day courses. Next week is the last week of this year’s on-campus CAU courses and it’s not too late to sign up. Check it out here. The summer got off to a very promising start at Reunion in mid-June, when interim President Hunter Rawlings gave a frank and humorous State of the University speech in which he shared how he ended up back at Cornell for his third (!?!) stint as President, his insights from his most recent job as head of the Association of American Universities, and his priorities for Cornell for the next 6-12 months. You can read about the speech here. The July 4 celebration in Ithaca featured fireworks set off from Stewart Park, giving people on the Cornell campus a great view from the Hill. Although Cornell is no longer doing the New Student Reading project, the list of books that students have read over the past fifteen years includes Frankenstein, Antigone, Things Fall Apart, Lincoln at Gettysburg, Slaughterhouse Five, Grapes of Wrath and other books that might be good for your summer reading. Find a complete list here. Our Notable Class is organizing a tailgate picnic/party for Saturday afternoon, September 24 at 1pm near the football stadium during Cornell’s Homecoming weekend in Ithaca. Further details are forthcoming. Please direct questions to our Ithaca event organizer classmate Roberta Bandel Walcer at rbwalcer@aol.com. Enjoy the rest of the summer! Over the last 12 years Kristen and I have attended Cornell’s Commencement–not because we have children to cheer on, but because it is a day of great joy and even greater possibilities. This year, Commencement had a slightly different flavor. At 10:00am on a hot and sultry Sunday morning, more than 5000 undergrads and grads began marching into Schoellkopf. Then the heavens opened. In minutes, everyone—parents, faculty, students, trustees–was soaked to the skin. First time it’s rained on Cornell’s graduation in at least 25 years! But the show went on, students cheered when it was announced the program would be shortened, and by the end of the event the sun was back out. A poignant moment occurred at the beginning of the ceremony when it was pointed out that the empty chair on stage was in memory of Cornell’s 13th president Beth Garrett, who never had the opportunity to participate in one of Cornell’s signature events. Provost Michael Kotlikoff gave a memorable, thoughtful, optimistic commencement address about what makes a Cornell education special and how important it is to learn about and respect different points of view. He called Cornell “the most unpretentious, democratic and rigorous Ivy.” Read more here. For those of us in the Notable Class of ’74, graduation day was particularly special. Our Class of ’74 scholar Garrett Guillen ’16 received his degree from ILR. We were introduced to Garrett in August 2012 upon his arrival in Ithaca from his home in Los Angeles. He had never been East and is the first person in his family to attend college. 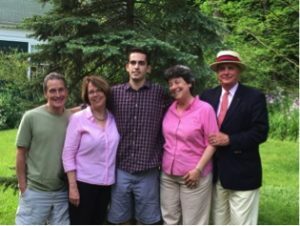 Over the next four years, Garrett navigated Cornell, succeeded both in and out of the classroom and, in his own words, had a “life changing experience.” Garrett’s parents made their first-ever trip to New York State and Ithaca for Commencement. We applaud Garrett for his courage and perseverance and wish him the best. As a class, we should all take a bow; the scholarship fund that Bob and Joan Saltsman Oelschlager ‘74 had the vision to start on behalf of our class, to which hundreds of classmates have made a contribution, is making a real difference in the lives of young people and our University. This is the last week of classes for Cornell students, and spring has finally arrived on campus. Study week begins Thursday and exams start on Monday. Cornell’s 11th president, Hunter Rawlings, has begun his term as Cornell’s interim president—again. Cornell women’s lacrosse team won the Ivy League tournament squeaking by Penn, 11-10, in Philadelphia on Sunday. The Big Red hosts the next round of the NCAA women’s lacrosse tournament this coming weekend in Ithaca. Events like this take place thanks to funds from your class dues. Last month you received a letter from our Membership Chair Jodi Sielschott Stechschulte encouraging you to pay your class dues. In addition to helping us pay for class events, dues help us plan and organize our reunions, continually communicate with classmates through our website, emails and paper mailings. And your class dues support the award-winning Cornell Alumni News. Your dues are due by June 30. Thank you to all who have already paid and, for those who haven’t yet, please do so soon. It’s easy. You can pay on-line here. Or you can just send a check made payable to Cornell Class of 1974 to Cornell University, P.O. Box 25841, Lehigh Valley, PA 18003-9695. Dues are $60 and include your annual subscription to the Magazine or $30 without the magazine. Dues for Class Couples are $65 and $35, respectively. Our class remains strong because we never give up on making and keeping Cornell and Class of ’74 connections. Thank you for being a part of that effort and thanks for supporting our class through class dues. Six months ago Cornell and the Ithaca community greeted Beth Garrett and celebrated her inauguration. It was a spectacular late summer day and the Arts Quad was alive with excitement and expectation. Today the community gathered again, this time in Bailey Hall on a blustery early spring day, to bid a final farewell to our 13th president. As I sat in Bailey waiting for the memorial to begin, I thought back to Charter Day last spring when Beth was first introduced to Cornell. A panel of current and former Cornell presidents plus the Harvard president—all graying eminences—sat in Bailey Hall discussing higher ed challenges. When Beth was asked to join the group on stage, all eyes were riveted on this person who projected an unbelievable amount of energy; her smile, her confidence, her intellect, and her very red dress captivated and electrified every one of us. At today’s ceremony there was a portrait of Beth placed where she had sat that afternoon—a clear reminder of our loss. We only wish Beth could be on that road with us…. Cornell’s President Elizabeth Garrett Dies at Age 52. 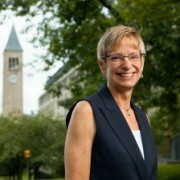 Cornell University President Elizabeth Garrett died March 6 from colon cancer. She was 52. Read more here. 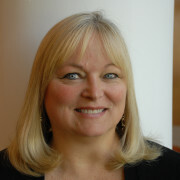 http://cornell74.org/wp-content/uploads/2016/03/Garrett2015_0875_008.jpg 224 336 Shelley Cosgrove DeFord http://cornell74.org/wp-content/uploads/2015/02/cornell_trans_logo.png Shelley Cosgrove DeFord2016-03-08 15:23:432016-03-08 15:24:51Cornell's President Elizabeth Garrett Dies at Age 52. It’s been an unusual winter in Ithaca—not much snow, and temperatures ranging from the single digits to the mid-50s. The only thing for sure is that the days are getting longer and the ice on Beebe Lake is mostly melted. In January, the new Klarman Hall opened on the Arts Quad. It is the first new humanities building on campus in more than 100 years—yes, you heard that right—and is located behind Goldwin Smith Hall. This spectacular light-filled structure contains faculty offices, seminar rooms, an atrium, an auditorium, and the relocated Temple of Zeus. You can access Klarman Hall from East Avenue or from Goldwin Smith. 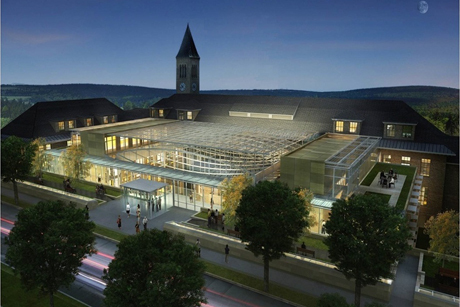 Check out photos of Klarman Hall here. Construction is underway in New York City at Cornell’s Tech Campus on Roosevelt Island, with the steel for the first building already in place. Prior to tearing down the old Goldwater Hospital on the island, Cornell worked with art conservators to locate, remove and conserve several murals in the hospital that were commissioned during the 1930’s as part of President Roosevelt’s Works Progress Administration (WPA.) The WPA employed thousands of artists between 1935-45 to create public art. The four artists chosen for the hospital project each painted a mural in the hospital’s public rooms. One mural had been uncovered in 2001, and two were discovered in 2013 under layers of hospital paint. One mural was never found. Over the past few years these murals have been cleaned and restored, and the mural panels are now on display at Cornell’s Johnson Museum of Art. The murals will eventually be installed at the new Cornell Tech campus. To learn more about this fascinating project, click here. To see the murals, visit the Museum’s website here. Our class correspondents need news in order to write the class column for Cornell Alumni Magazine! If you have an update about yourself or a classmate–regarding retirement, a new job, a wedding, a class you are taking, a new or old hobby, travel, whatever—please send it to Jim Schoonmaker at js378@cornell.edu, Lucy Babcox Morris at lucmor1433@gmail.com, or Helen Bendix at hbendix@verizon.net. Thank you!